Spraybuff is a water-based floor maintenance product that cleans and shines in one step. Formulated by using a floor finish and a polymer blended with a high-quality detergent, Spraybuff removes scuffs, black heel marks, and scratches without disturbing the finish on the floor. 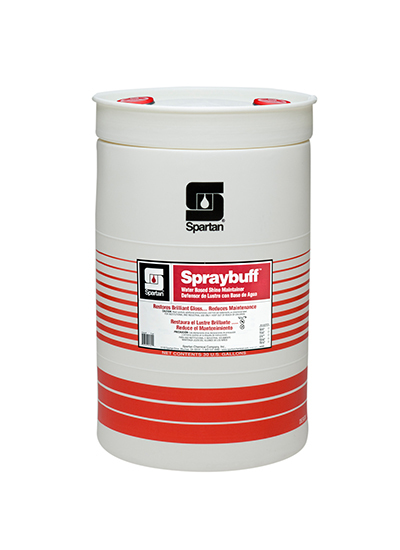 Routine use of Spraybuff minimizes floor care maintenance expenditures by reducing the cost of stripping, sealing, and refinishing.